Rend Lake College Aquatic Center is located just north of Rend Lake. This indoor pool is open to the public year round, offers memberships, and has open swim hours. An outside patio with barbeque facilities is available for rental. For information on rates and hours, please call 618-437-5321 or click HERE. 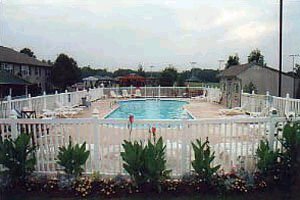 The Seasons Lodge features an outdoor pool and spa for your enjoyment during your stay. For information on rates, please call 618-629-2600 or click HERE.